In this application, which has a clean interface that makes working easier, it allows you to easily switch between pages with the logic of chrome browser in one window. Besides standard features such as spell check, word search and font settings, there are numbers for characters, zoom in and out, and built-in screen capture. Some features: Save documents as DOC, DOCX, PDF, HTML or TXT Place images, text frames, tables and page numbers. 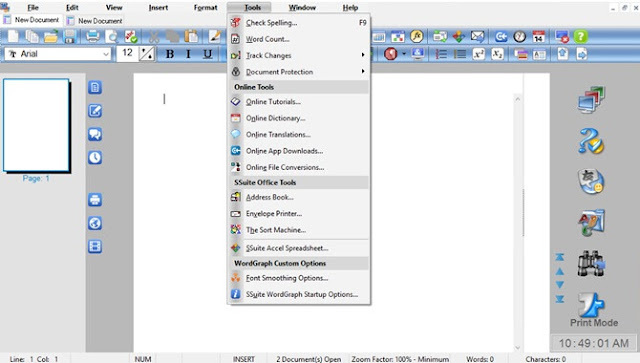 Formatting fonts, paragraphs, styles, columns, bullets and numbering, Using tables by adding or deleting cells, adding or deleting cells, PDF file import, print, or draft layout views, number of words, zoom in or out, and page layout options. SSuite Office provides a range of applications including word processors, spreadsheets and editors. A great alternative to Microsoft Word. 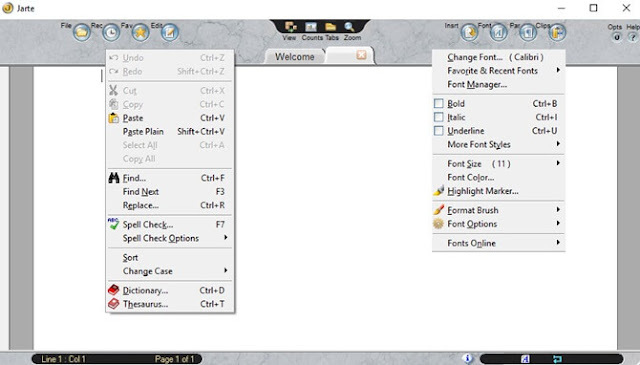 Similar to AbleWord, you have a standard menu on the top, action buttons, and the formatting toolbar. Each new document is located on its own tab.